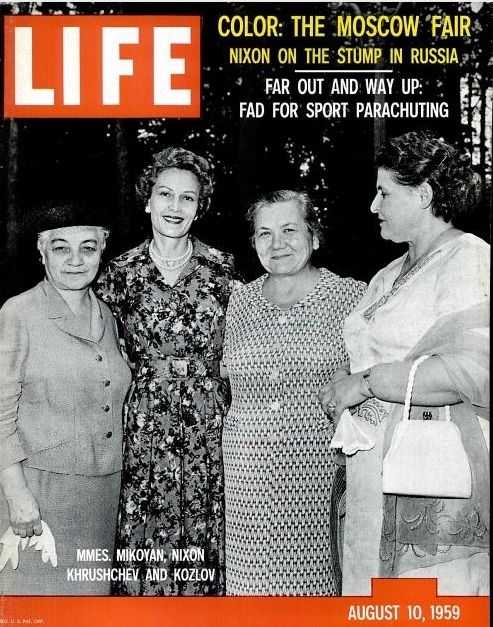 Life Magazine reported on the Nixon’s trip to the USSR in its August 1959 article “The Vice President in Russia – A Barnstorming Masterpiece.” The only reason for this post is the photo of Nixon in a miner’s hardhat. Who doesn't belong and why? This caption is really funny because every Soviet person who came in contact with a foreigner was instructed to decline any gifts and reply that they have plenty of whatever it was at home. I imagine this guy would’ve loved to have Nixon’s pen but he knew it wasn’t worth the hassle that would follow.